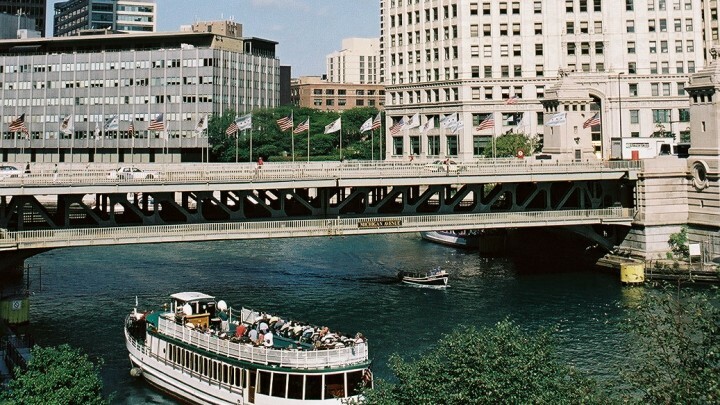 The city’s recent investments along the riverfront—including the Riverwalk extension, modernized boathouses and the Great Rivers Chicago initiative—have shown how this natural resource can become a dynamic hub. Each site represents a typical edge condition: a building edge, an open space edge and a bridge edge. The challenge for the firms was to seamlessly connect these various edge conditions and to provide inviting and active public spaces along the river. The concepts presented in this exhibit, along with public feedback, will inform the city’s new design guidelines. A fourth river site, added by CAF, highlights plans for the new Chicago Architecture Center. This exhibition is sponsored by the City of Chicago’s Department of Planning and Development in collaboration with the Metropolitan Planning Council. Generous funding was provided by Comcast, The Richard H. Driehaus Foundation, Related Midwest and the 601W Companies.